Axon, a global leader in connected law enforcement technologies, today announced the purchase of 1,200 Axon Body 2 cameras by the Alameda County Sheriff’s Office (ACSO) making it the 22nd member of the 77 Major County Sheriffs of America to join the Axon network. The deal includes a five-year Evidence.com license on the Officer Safety Plan with Axon Signal technology. The order was received in the second quarter of 2017 and the cameras are expected to ship in multiple phases throughout the year. ACSO implemented its first body-worn video (BWV) program in 2012 utilizing cameras, software and storage. In December 2015, ACSO formed a committee to study national BWC policies, guidelines, recommendations and technologies as part of a larger effort to better align to the United States Department of Justice (DOJ) practices. As part of this effort, ACSO conducted an extensive on-site testing and evaluation process with seven vendors to determine who could best meet the agency’s needs. At the conclusion of the four-month field trial and evaluation, Axon received the highest score of any vendor and was selected by ACSO. Rick Smith, founder and CEO, Axon Enterprise, Inc.
“We are thrilled to add the Alameda County Sheriff’s Office to our growing list of Axon customers,” said Axon CEO and Founder Rick Smith. “Alameda’s robust procurement process serves as an example of the critical importance that field trials play for evaluating technology partners and their solutions. 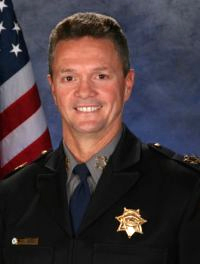 We look forward to partnering with ACSO to ensure their future success,” concluded Smith. In the field – Our Smart Weapons offer a less-lethal intermediate use of force response and our body-worn and in-car cameras collect video evidence to capture the truth of an incident; and our mobile applications enable simple evidence collection. At the station – Our secure, cloud-based digital evidence management solution allows officers and command staff to manage, review, share and process digital evidence using forensic, redaction, transcription and other tools. In the courtroom – Our solutions for prosecutors make collaborating across jurisdictions and agencies easy so that cases can be resolved quickly. We work hard for those who put themselves in harm’s way for all of us. To date, there are more than 100,000 licensed users from around the world and more than 182,000 lives and countless dollars have been saved with the Axon network of devices, apps and people. Learn more at www.axon.com or by calling (800) 978-2737.